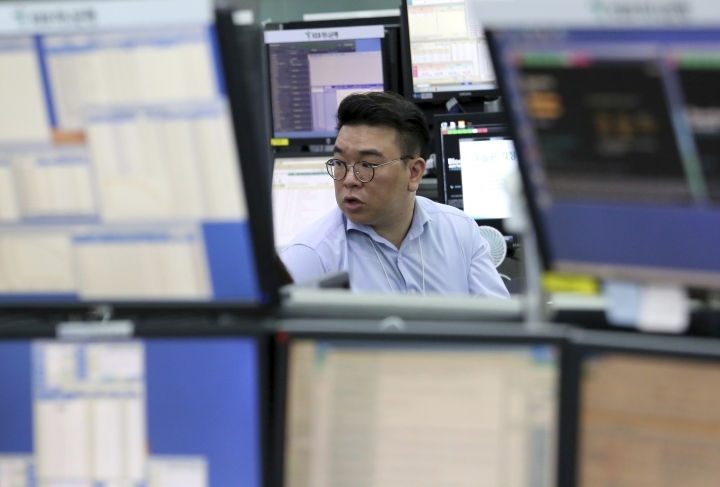 SINGAPORE — Stock markets stabilized Wednesday after a rally inspired by strong corporate earnings, with investors also monitoring talks on Britain's exit from the European Union. KEEPING SCORE: France's CAC 40 added 0.2 percent to 5,183.04 and Britain's FTSE 100 rose 0.3 percent to 7,078.53. Germany's DAX shed 0.3 percent to 11,744.76. U.S. shares were set to open lower as the Dow future contract dropped 0.2 percent to 25,744.00. The broader S&P 500 futures lost 0.1 percent to 2,813.80. 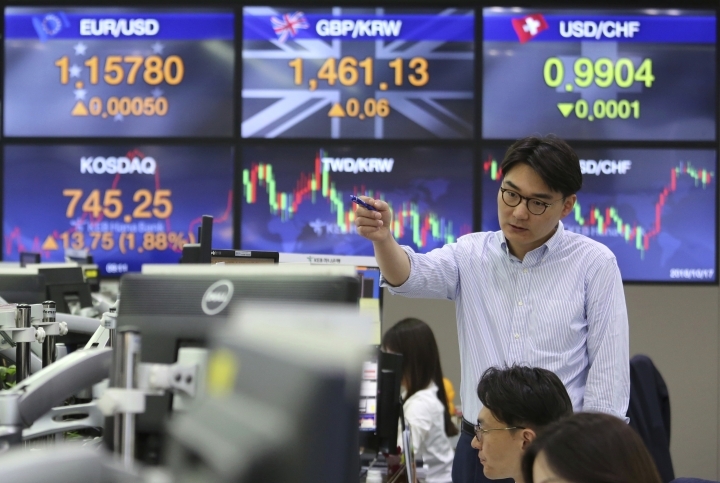 ASIA'S DAY: Japan's benchmark Nikkei 225 jumped 1.3 percent to 22,841.12. 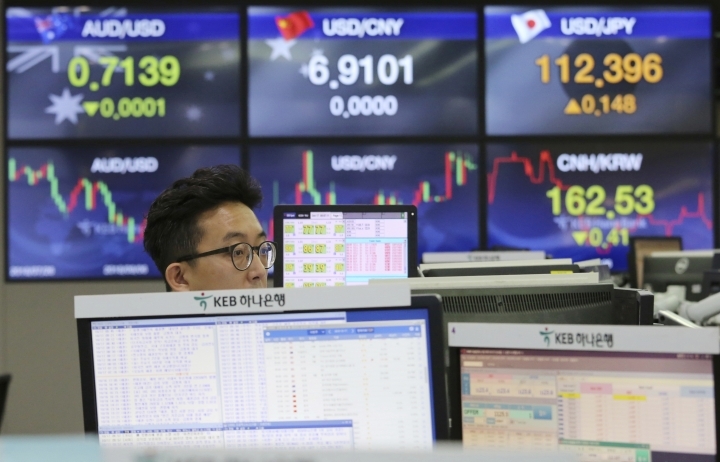 The Kospi in South Korea advanced 1.0 percent to 2,167.51. The Shanghai Composite rose 0.6 percent to 2,561.61. Australia's S&P/ASX 200 gained 1.2 percent to 5,939.10. Shares were flat in Taiwan but rose in Thailand, Indonesia and Singapore. Markets in Hong Kong were closed for a holiday. EARNINGS: Upbeat quarterly reports from the likes of Netflix, Morgan Stanley and Johnson & Johnson helped stocks rally on Tuesday. On Wednesday, aluminum producer Alcoa and pharma company Abbott Laboratories are among those to announce earnings. EU SUMMIT: EU leaders are to meet Wednesday to discuss Britain's exit from the bloc, although a deal is unlikely this month. After a year and a half of talks, negotiators are still struggling to reach an agreement so it can leave by March 29 as scheduled. They remain divided over how to ensure the exit will not create a hard border between the EU's Ireland and Britain's Northern Ireland. ANALYST'S TAKE: "With the EU Summit starting tonight and expectations having been lowered of late, it feels the downside is cushioned to an extent, but the market would be surprised if something did come out left of center," Chris Weston of Pepperstone Group Limited said in a commentary. UBER IPO: Ride-hailing company Uber reportedly has received proposals from investment banks Morgan Stanley and Goldman Sachs that valued the ride hailing company at as much as $120 billion. The Wall Street Journal said Uber may launch an initial public offering early next year, citing people familiar with the matter. Apart from scandals including workplace harassment, Uber faces intensifying competition and sold its Southeast Asian operations to rival Grab in March. ENERGY: U.S. benchmark crude lost 32 cents to $71.60 a barrel in electronic trading on the New York Mercantile Exchange. The contract gained 0.2 percent to close at $71.92 per barrel in New York. Brent crude, the international standard, fell 19 cents to $81.22 a barrel. It added 0.8 percent to $81.41 per barrel in London. CURRENCIES: The dollar eased to 112.27 yen from 112.28 yen late Tuesday. The euro fell to $1.1541 from $1.1575.